It only took a few seconds for Lumumba Sayers to reverse his fortune in his fight against Scott Smith at last Saturday’s Strikeforce: Tate vs. Rousey event in Columbus, Ohio. 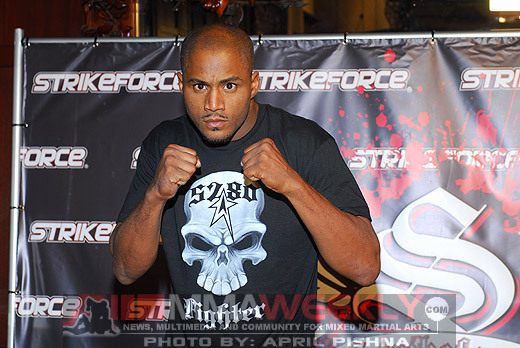 Early in the first round of the fight, Sayers found himself in the midst of a guillotine choke attempt, but as he told MMAWeekly.com, he was ready for that situation and turned it towards his favor. From there, Sayers picked Smith up and did indeed slam him backwards on the mat, setting up for the eventual finish. Sayers was able to get free of Smith’s grip, and while the two were getting up, managed to lock on a choke of his own, finishing the fight. Many observers feel that a win over a well-known opponent on a main Strikeforce card is a big step forward for Sayers, but don’t tell him that. “People were telling me that after that I was climbing the ladder, but I feel like I’m still trying to climb out of the pile,” said Sayers. 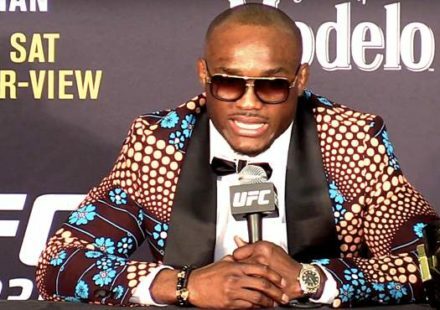 “With me, I don’t think that I beat Scott Smith and I’m a great fighter and this and that… I don’t really get into the hype of what people say, because that’s when you start to lose your way. 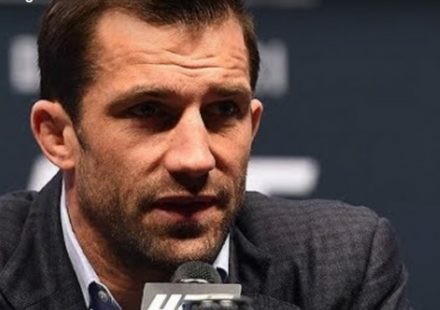 With a middleweight division in need of contenders for champion Luke Rockhold, Sayers’ shot could come sooner rather than later, but again, that’s not what he’s focused on yet. 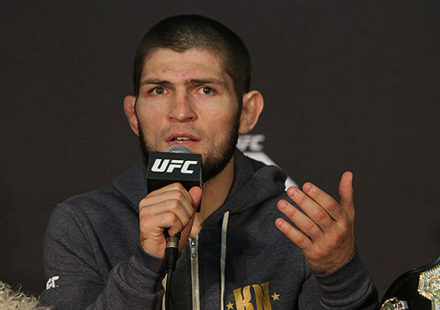 “I haven’t even thought about a title shot or any of that,” he said. 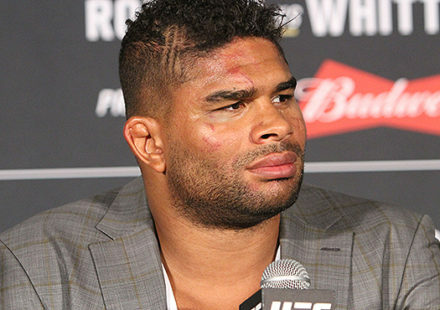 “When (Strikeforce matchmaker) Sean Shelby and Ricky (Vasquez, Sayers’ manager) feel like it’s time for me to get a title shot against whoever has the title, then we’ll move forward.